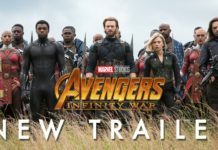 Two years ago, Chadwick Boseman roared into the Marvel Cinematic Universe with his take on Black Panther, in the big screen debut of the much-anticipated superhero which was at the time simply one part of the now-legendary ensemble punchfest Captain America: Civil War. A welcome addition to the team, Boseman’s performance was widely considered one of Civil War‘s many highlights, combining the actor’s natural charisma with some exciting moments of action-now, eight years removed from the Marvel Cinematic Universe’s tease of a Black Panther solo film on an out-of-focus video monitor near the end of Iron Man 2, does the titular character’s eponymous outing stick its landing? In some ways, it does. Director Ryan Coogler, in his follow-up to 2015’s magnificent Creed, reteams with his muse Michael B. Jordan following 2013’s Fruitvale Station as well as Creed in telling the story of T’Challa/Black Panther’s rise to the Wakandan throne following the death of his father in Civil War, as well as his war against Jordan’s Erik “Killmonger” Stevens. Ripe with political overtones, fine acting, heavy emotion and a great look, this is a welcome addition to the MCU, rich in highlights though not without its share of flaws. Highlight-wise, the cast is phenomenal, with each individual bringing their own skills to the table resulting in excellent work all around. 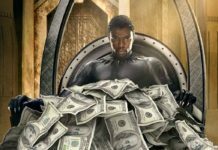 Black Panther finds Boseman more at ease with the character, now comfortable in his previously shaky accent & able to deliver some genuine feels as he wrestles with his character’s predicament, while Jordan’s big bad works well, presenting a villain with an nicely-balanced mix of substance & terror and which continues the MCU’s streak of compelling bad guys, truly a welcome change from those seen dark days of Iron Man 2 or Thor: The Dark World. Supporting roles are handled well, with Lupita Nyong’o as obligatory love interest Nakia and Daniel Kaluuya as T’Challa’s friend W’Kabi, continuing his upward trend as of late following his fine lead performance in last year’s Get Out. 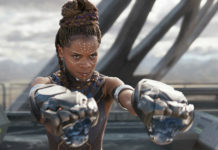 Forest Whitaker is here, operating from the Saw Gerrera playbook in nearly every way, but levity can be found in Letitia Wright’s role as T’Challa’s sister Shuri, while Winston Duke plays M’Baku, leader of an enemy tribe who surprisingly delivers some hilarious moments amidst his overall menacing persona. It’s also nice to see such a powerful female character in Danai Gurira’s Okoye-feel free to draw comparisons to her role as Michonne on The Walking Dead. Finally, the reliable Andy Serkis reprises his role from Avengers: Age of Ultron as Ulysses Klaue, while Martin Freeman’s Everett Ross returns from Civil War in an appearance much more lengthy than I expected. I would say it was nice to see the men who played Gollum and Bilbo back together again, but those Hobbit movies were simply not very good. In terms of cinematography and overall presentation, the world of Wakanda couldn’t look any more beautiful than it does here. 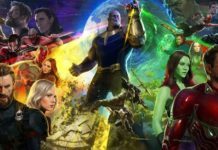 Awash in vivid color, technological wizardy and accompanied by Ludwig Göransson’s unique South African-tinged score, it is these details that do help place Black Panther in a different league than lesser offerings by the MCU, even if many of the special effects don’t seem all that different from a sequel to Guardians of the Galaxy or Thor. Furthermore, the film isn’t without additional imperfections. 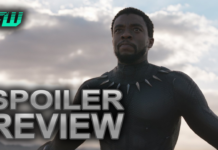 Action sequences, while well-choreographed and shot masterfully, are placed somewhat too far apart, which when combined with Black Panther‘s slow, drawn-out build to the first battle certainly didn’t help to keep this reviewer from initially wondering if all the critical acclaim may have been incorrect. 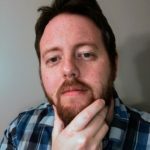 Though the pace does pick up eventually, every piece of excitement is unfortunately buoyed by long scenes of people talking endlessly, which in many instances ends up being needless exposition. This also presents one of the greatest problems with the film-at the end of the day, Black Panther is just another superhero quasi-origin story in a universe filled with films nearly identical. 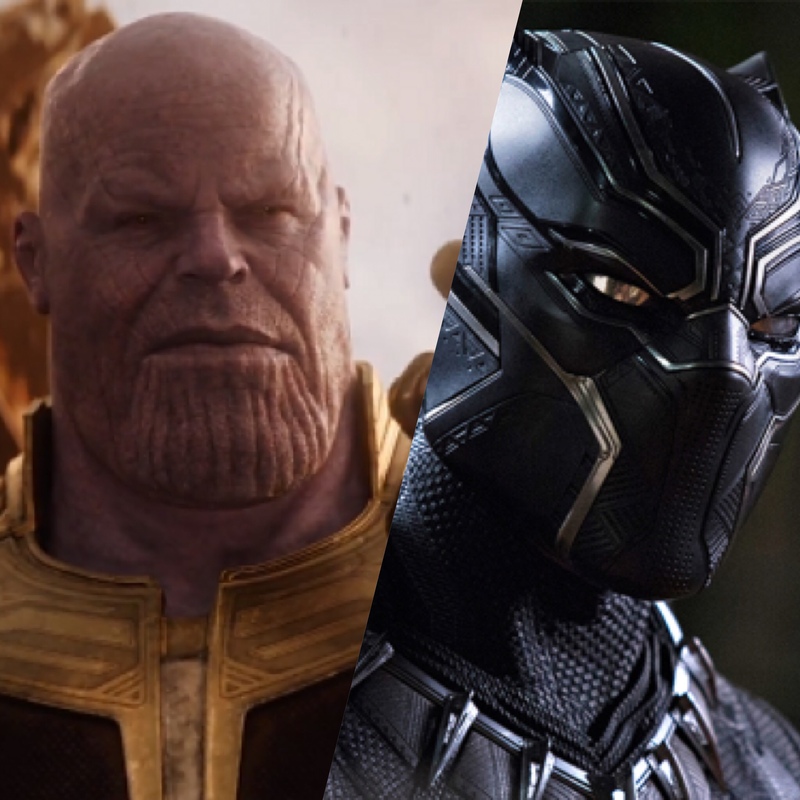 The African setting does help to present a different environment not previously seen in prior MCU offerings, but even that makes it difficult to differentiate it from self-contained worlds presented on Asgard or the farthest reaches of the galaxy. It’s always a treat to see such a talented cast, but even they can’t escape the fact that we’ve seen this type of movie many, many times before, and will continue to do so. 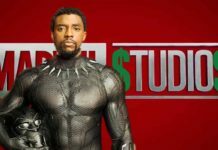 Nonetheless, Black Panther‘s still worth seeing, especially as the film takes great pains to operate as its own separate entity from the wider MCU, with only minor references to preceding films scattered throughout and which could even produce comparisons to last year’s Wonder Woman. Is it blasphemy to compare DC and Marvel? Who knows, but like a tired story wrapped in panther’s clothing, it’s all I’ve got right now.